Mixed dog breeds are very popular right now, although they are not actually “breeds.” Most mixed breed dogs found in shelters are the result of accidental matings. They were not bred intentionally and their parentage is often unknown. However, they are still very lovable dogs and they can make great pets for many people. Of course, there are many good and bad things about living with any dog. If you are thinking of getting a small dog breed, here’s a look at some of the pros and cons for you to consider. Mixed dog breeds found at your local animal shelter can include everything from cute young puppies to old dogs who need a home. It’s estimated that about 20-25 percent of the dogs in shelters are bully breeds, or what some people call “pit bulls” or pit bull mixes. These dogs can be hard to adopt because of their reputation. Some cities and towns do not allow them to be adopted which means they will be euthanized sooner or later. Most experts agree that these dogs do not deserve the reputation they have been given in the media and they can make wonderful, loving pets if they are raised properly. In many places there is a shortage of cute young puppies. They are the first dogs to be adopted, especially if they are small or toy breed dogs. If you visit an animal shelter you are more likely to find small and medium-sized dogs that are several months old. These juveniles or “teenage” dogs may be there due to some behavior issues, such as barking, soiling in the house, or jumping up on people. They often need an owner who is willing to work on fixing their problems, but they are good dogs and they can make very good pets with a little positive dog training. Is there an Overpopulation of Dogs? Many people are under the impression that there is an overpopulation of dogs in the United States. The truth is that most dogs in shelters are there because they are owner turn-ins. That means the problem isn’t over-breeding. The problem is that the owners didn’t know how to train the dogs and gave up on them. Or, in some cases, they abandoned them if they were moving, if they had a new family member, or for some other reason. That’s not an over-population problem. There are many shelters in the United States which are virtually empty and which have to import dogs from other areas. Shelters in the northeast often import dogs from the South, for example. Again, this is not over-population. This is a distribution issue. There are more dogs that need homes in some areas than others. Are Mixed Dog Breeds Healthier? Some people are under the impression that mixed breed dogs are healthier than purebred dogs. However, extensive health studies and actuarial records kept by dog insurance companies show that this is not true. Large scale studies show that mixed breeds and purebreds have virtually the same lifespans. However, most purebreds have breeders who are trying to breed healthier dogs and improve the health of their breeds. 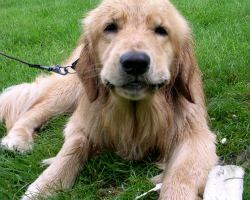 If you get a dog from a purebred dog breeder, the breeder will often offer a health guarantee. Countless people have wonderful dogs that came from shelters or other sources and the dogs are loving, devoted, and intelligent. If you are planning to get a mixed breed dog, you should look for a dog that is healthy and friendly. Choose a dog that shows interest in you. Avoid dogs that seem shy or sickly. Although a shy dog may pull on your heart, shyness and avoiding people can be signs of sickness or signs that the dog doesn’t feel well. You may take the dog home and it could become sicker very quickly. You don’t have to choose the most outgoing dog, but you should choose a dog that is alert and interested. Try to have as much interaction with the dogs you are considering as possible. You will often find one that seems to suit you. Do not believe shelter workers when they tell you a dog is a purebred. There are very, very few purebred dog breeds in animal shelters. Shelter workers mean well, but do not believe them in this area. As soon as you choose a dog and leave the animal shelter, you should take the dog to a veterinarian for a check-up. Make sure the dog is healthy before you get too attached to it. If the vet finds a serious dog health problem you should return the dog to the shelter immediately. Do not take the dog home with you, especially if you have other pets. You could expose all of them to a serious disease. You can find a wonderful mixed breed dog at an animal shelter but you must choose carefully. These dogs can make great pets, or they can break your heart if you get a dog that has a bad temperament or which is unhealthy. Take your time and get the right dog for you.